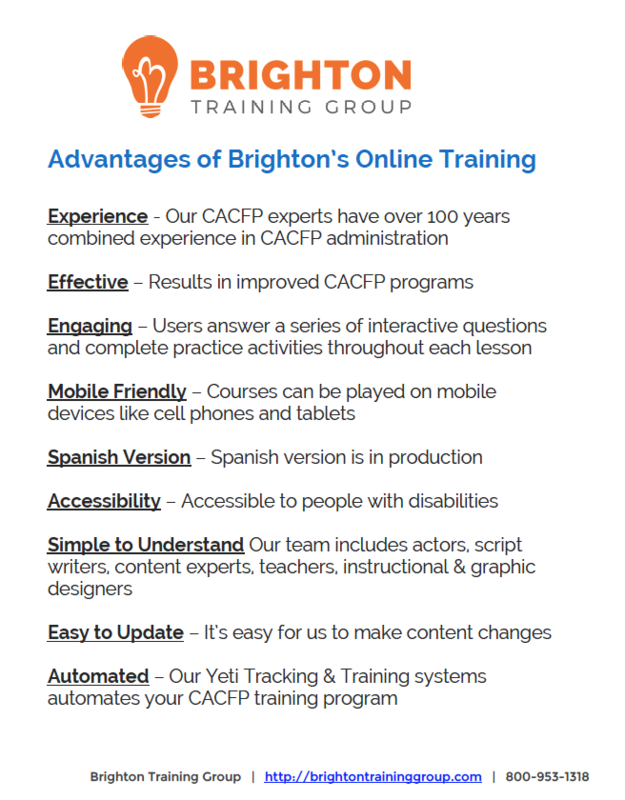 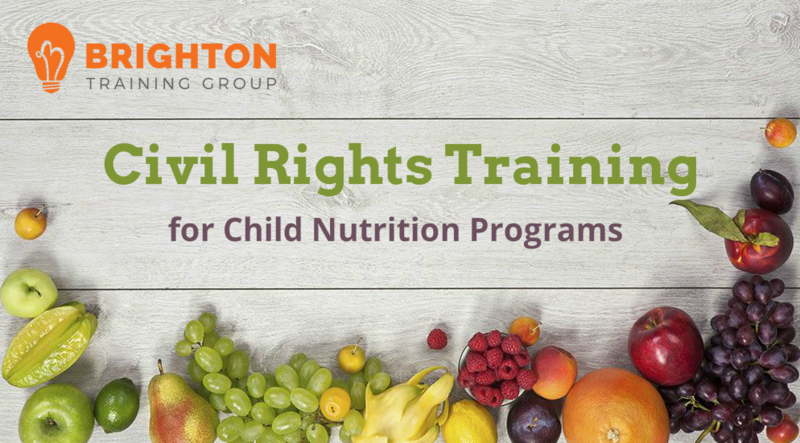 As part of the National CACFP Take ACTION Challenge, Brighton Training Group offered a year’s worth of free registrations to our online Civil Rights Training for child nutrition programs. 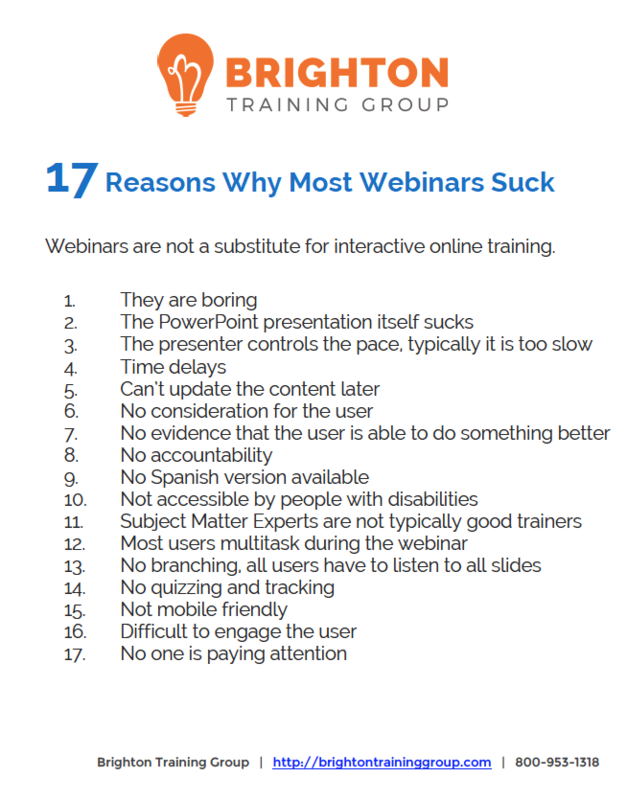 This course is no longer a free offer. 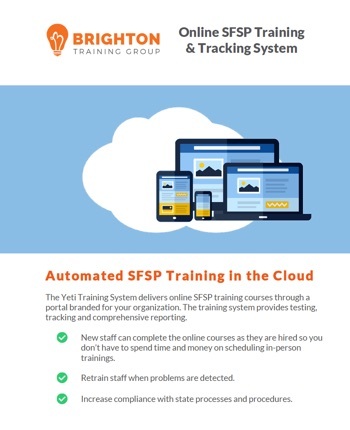 If your sponsoring organization or state agency is interested in a quote for being able to offer this online course to your users, please contact us.